two points for honesty: easy with the sprinkles, there squirt. easy with the sprinkles, there squirt. Tonight we made sugar cookies. They were delicious. I think my mom has one of the best recipes for sugar cookies. 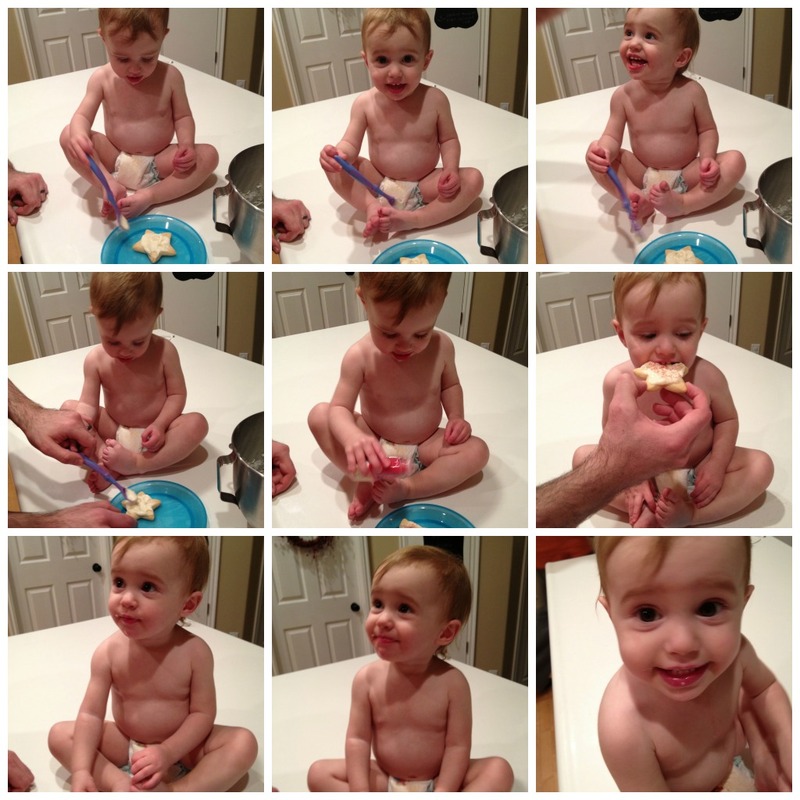 It was Jillian's first time decorating and eating her own cookie, so naturally we had to document the play-by-play. Success. She said "de-shish!" Translation: delicious. And then she just wanted to shake the sprinkles...everywhere. you're getting poop for christmas.